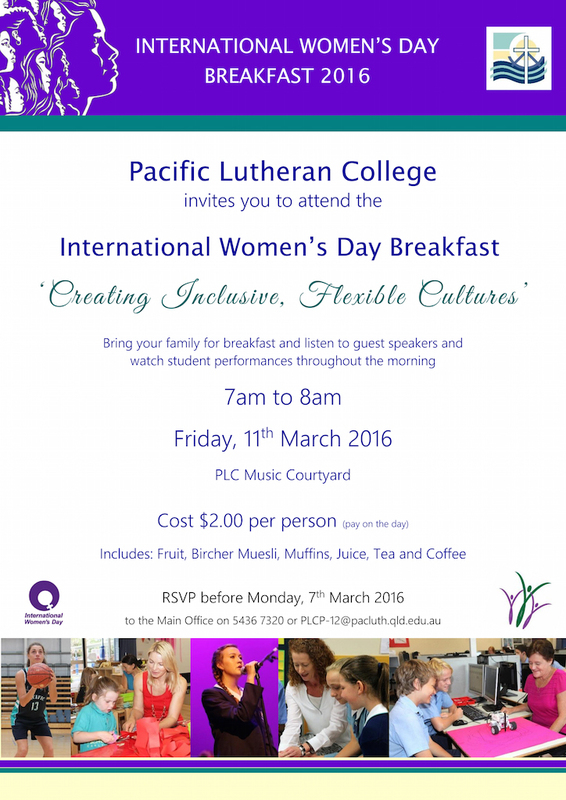 The International Women’s Day Breakfast is on next Friday 11th March. The whole community is encouraged to attend this engaging event. Ali Palmer is an Education Specialist who consults for the Langley Group. Ali has over 25 years experience as a teacher and leader in education. She works with schools to cultivate wellbeing through positive psychology and community psychology. Recently, Ali worked on a four-year Staff Wellbeing project with Independent Schools QLD that involved more than 30 schools. Shelagh Brennand was a busy wife and mum who served as a Police Officer and Private Investigator for 25 years before a stroke changed her life forever. During her recovery, Shelagh wrote a collection of poems and has released them in a book, A Stroke of Poetry. The collection chronicles the frustrations, sadness and amusing times that can be part of the climb back from stroke. The breakfast will be catered by our wonderful Hospitality department and also include student performances throughout the morning. For catering purposes, please RSVP by contacting 5436 7320 or emailing: PLCP-12@pacluth.qld.edu.au.